Remodeling your kitchen may seem like a lot of work. Here’s a list with a few helpful tips we hope will help get you through it. Still have questions? Our kitchen designers are always on hand at 714-693-1111 to answer your questions or give you a free kitchen remodeling estimate. There’s only so much space to work with. If you want the extra large fridge and the professional stove, that’s going to leave less space for cabinets. Take everything into consideration. Not just width matters. Look up as well. You may be thinking taller cabinets can provide extra storage space. However, if you have shorter family members, it’s not going to be convenient to store everyday items there. Getting enough light in the kitchen is essential for getting the job done. While many kitchen have large windows that let in daylight, they aren’t great at task lighting, and they certainly don’t do a good job when it’s dark out. Planning your lighting is an important part of the kitchen design process. It’s not enough to have a place to put your pots and pans. You need plenty of room to spread out and chop up those veggies too. Add an appliance or two to the countertop, and you’ll need even more space. Adding an island can be a great way to add more storage and work areas to kitchen if you have the space. Kitchen islands can even mobile! Your kitchen designer is experienced and knows how to make your storage and work areas work for you. The latest kitchen trends can really sweep you off your feet! But what you really may be interested in is a more traditional look. It helps to get a good idea of what your style in and then stick to it so you don’t get sidetracked by something flashy that catches your eye. Plan for the cost of your kitchen remodel by setting a budget. Choose a company, like Cabinet Wholesalers, that specializes in kitchen cabinets and refacing so you know you’re getting the best deal around. Ask our kitchen designer about package deal for custom cabinets that includes many extras at one low price. 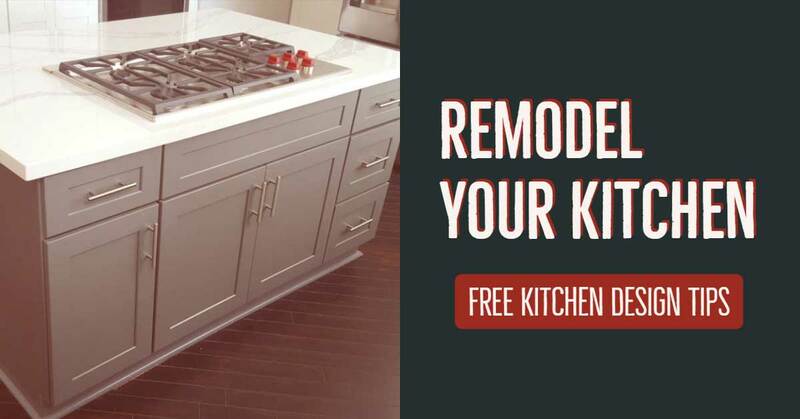 Learn more about kitchen remodeling by calling us at 714-693-1111 and get a free, no obligation estimate today.